Top quality training in dance. Whether you want to dance for a career or just for fun, with a calm relaxing atmosphere. To provide a calm, relaxing service for children to feel safe and secure in. A place for the children to have fun, to learn and to look forward to coming to. A place where children can relax and also be stimulated. A place to help children adjust to being away from home and their parents to build confidence and self esteem. A place for children to improve self discipline and confidence. Somewhere for your child to develop social, emotional and communication skills. Excellent for developing their co-ordination and physical skills. A place for you child to learn how to correctly hold their poise and posture. A place that is safe and secure where your children can have great fun at the same time as developing new skills. A place where you as parents can be greeted with happy faces, a relaxing atmosphere and to feel comfortable leaving your children. A place where you can meet other adults with children and make new friends (or even just to get out of the house!!) Great value for money. A place where you will find easy going, helpful, efficient, professional, knowledgeable, caring teachers & staff. 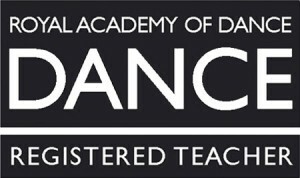 Suitably trained teachers who are continuously developed to provide top quality dance training. Suitable areas for the children to dance on a hard floor with heating and lighting, ensuring all health and safety aspects are achieved. Allowing all children to attend no matter what colour, race or disability. Equal opportunities are very important to us.